I remember….back in the dark ages…when I was a teenager, there were only a few options to help keep my skin less spotty. All of these options seemed to strip the first 40 layers of my skin off and leave my skin with a scorched look to it. Not attractive. Although they I could use them today as an alternative to the skin lasering. It is good to see that the teenage skin care world has evolved considerably and there are many new brands available, including more natural options. 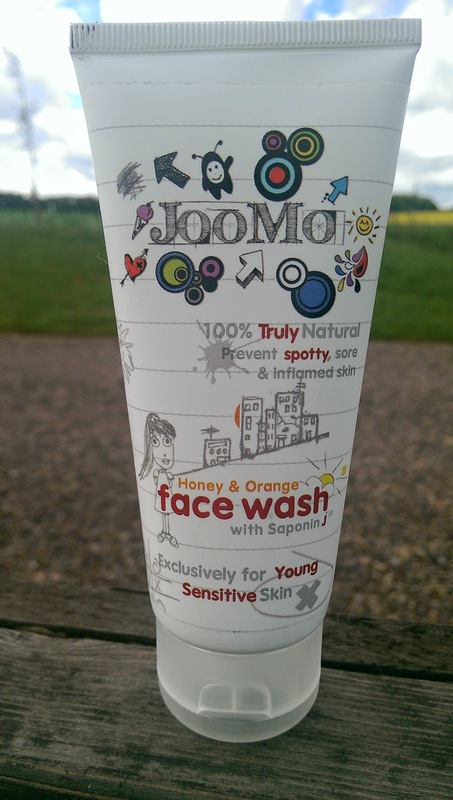 Joomo Honey & Orange Facewash with Saponin is 100% Natural. It is also exclusively for young sensitive skin. The more astute of you would be quick to pick up that although I can be prone to sensitive skin…… it is not young anymore. I wanted to try this out myself and wanted to try it on a younger face also. Luckily I had my teenage nephew over staying for a week…… do you think it would be harsh to call him guinea pig A? …..no, me neither. My nephew tried it first and possibly in true teenage boy form (sweeping generalisation) he described it as nice. He also went on to say that it smelt really good. The fact that he went back to use it again was a really good sign. From an outside point of view, his skin looked healthy. I decided to try it myself so I could describe the consistency better. It applies well, feels almost refreshing on the skin, you could almost describe it as slightly warming and rinses off well. I was concerned that there maybe a residue left, but there was not. I found you did not have to use a lot of the product to get a good clean. Overall we liked it. 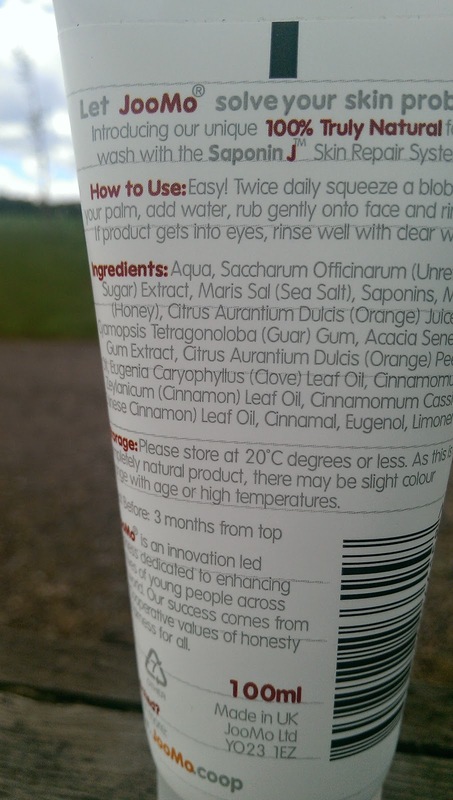 INGREDIENTS: Aqua, Saccharum Officinarum Extract, Maris Sal (Sea Salt), Saponins, Mel (Honey), Citrus Aurantium Dulcis (Orange) Juice, Cyamopsis Tetragonoloba (Guar) Gum, Acacia Senegal Gum Extract, Citrus Aurantium Dulcis (Orange) Peel Oil, Eugenia Caryophyllus (Clove) Leaf Oil, Cinnamomum Zeylanicum (Cinnamon) Leaf Oil, Cinnamomum Cassia (Chinese Cinnamon) Leaf Oil, Cinnamal, Eugenol, Limonene. Previous Post Living Nature Blogstar June 2014….yay me! !